"For me, the worst thing was that it was in Birmingham and I would have loved to have stood there as World Indoor champion, but instead I was a silver medallist which is a great achievement, but not when you have done it against a druggie at the end of the day." - Dame Kelly Holmes talking about a campaign to upgrade her 2003 IAAF World Indoor silver medal. American Regina Jacobs - at age 39 - ran 3:59 for 1,500 indoors that year and took indoor gold before testing positive for designer steroid THG later in '03. Does anyone think German Fernandez is going to repeat as NCAA 1500 champion? Thousands of XC fans from around the country have responded to the OSAA, who discussed eliminating or significantly altering the team aspect of Oregon HS XC (there's a facebook group with 3600+ members). We don't understand why this article assumes Caster Semenya will win in London 2012 if she's allowed to compete. Nobody would ever have thought a certain female named Pamela Jelimo would be a non-factor in 2009 would they? *Nice Profile Of The Man Who Slayed Bekele - Josesph Ebuya The story starts with the following great opening line: "He left his fellow herdsmen and travelled over 400 kilometres to Eldoret with a dream - to run and earn money to buy land and settle away from cattle rustlers." *Undefeated In 2010, Linet Masai Returns To Kenya Dreaming Of World XC Gold She ended up with silver last year but wants gold this year. Yes, that's right, the Oregon HS Sports people want to eliminate team qualifying for Oregon's state XC meet. Five years ago, the number was 6.5 hours and researchers thought for sure they had hit a ceiling. Now they've figured out doses so that you can cheat without giving yourself a fatal heart attack or stroke. McMillan Elite's Brett Gotcher credits training partner Paige Higgins with getting him ready for his big first splash. Amazingly, Gotcher only finished 7th with the 4th-fastest US debut of all time. *Houston Chronicle: How Houston Marathon Was Run It was run fast. Sanchez's time bests Eamonn Coghlan for best ever European. That's a 3:52 1,600 plus a 60-second lap. 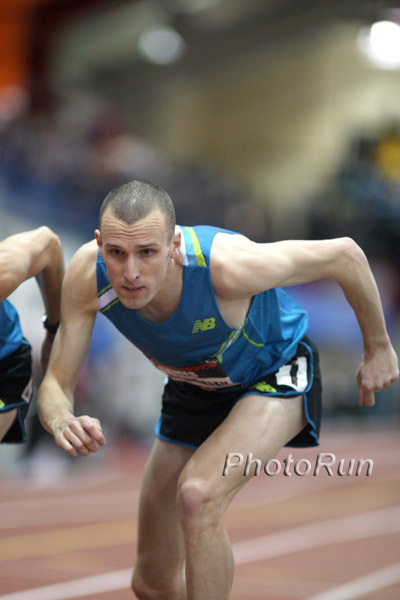 This might be a bad week for Coghlan if Bernard Lagat gets his record 8th Wanamaker Mile title on Friday night in MSG. The drunken high jumper strikes again. Highest-ever jump in Czech territory. His first marathon was a 2:23. This Weekend's NCAA Results The NCAA now has all the results in one place where it's easy for you to see any result from D1, DII or DIII. *Battle Of Giants As Vivian Cheruiyot Downs Linet Masai In Stacked Kenyan Police National XC Champs You won't see Cheruiyot in Poland for World XC, as she is sticking to the track. Looks like Masai will be the top challenger to the Ethiopians. *Sammy Wanjiru Talks Some Trash, Saying Haile Is Over The Hill Wanjiru is targeting Berlin in September as the place where he can lower the marathon world record, saying London's course is probably too difficult. Geb Runs 2:06:09 Geb's record attempt came up way short, as he got caught in the race by two Ethiopians but was able to obliterate them in the sprint. The women's race also was close, as Mametu Daska (2:24:18) ran herself to exhaustion but was able to prevail over Aberu Sheway (2:24:26). AP: Geb: "I wasn't feeling very good this morning because I had a back problem but I'm very happy to win the race. I think I slept in a different position, on my stomach, and that caused the problem." Oregon Students & Parents Are Complaining That NCAA T/F Is Interfering With Graduation Personally, we do think it's absurd that Oregon students will have to graduate on a Monday. We've said all along that Eugene is being saturated with track. USATF Announces Jenny Crain Mentoring Program Jenny was hit by a car while training for her 4th US Olympic Trials. Donate here. We can't tell if the photos are taken from a plane or from the top of the building (even though the photographer wrote us and told us he rode a 40mph elevator to the top).